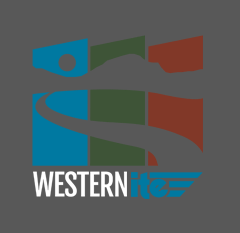 The Local Arrangements Committee and the ITE Alaska Section would like to invite everyone to join us in Anchorage for the 2011 Western District Annual Meeting from July 10-13, 2011. We encourage ITE members, including ITE Student Chapter members, to make the journey north to check Alaska off your Bucket List! The Hilton Anchorage and the Egan Convention Center will provide an excellent venue for technical and training opportunities and are both conveniently located in the heart of downtown Anchorage with easy access to shopping, dining, entertainment, and a wide range of attractions. We look forward to hosting a variety of activities and events that will engage students, such as the Get Acquainted Social, the James H. Kell Student Competition, Student Traffic Bowl, Student Forum, Family Night and much more. There will be opportunities for students to network with professionals from around the country while volunteering behind the scenes to make the meeting a success. Please visit our website, www.alaskaite.org, for details about the 2011 Annual Meeting. In addition, we can also be found on facebook. Search for 2011 Alaska ITE and keep in touch with the LAC, get the latest meeting news and discuss Alaskan topics. We encourage everyone to make their reservations as early as possible since Alaska is a very popular destination during the summer months! 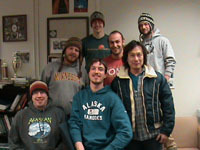 The UAA ITE Student Chapter was recently revived in the Fall of 2010 by a small group of motivated students. Its mission is to provide students with an understanding of the current state of transportation both locally and nationally, as well as provide students with opportunities to become involved with improving the local infrastructure. The members of this student chapter continue to look for new ways to be involved in addressing our nation’s transportation issues, and are currently planning on hosting a field trip to a biodiesel research facility in Palmer, where they are currently working on developing a bio-based asphalt, possibly during the upcoming ITE Western Meeting in July as an activity for the younger members. The last semester was mostly an organizational semester for the chapter, but we are now at the point of looking for input from the professional community to help further the positive out-of-classroom learning environment we are striving for. We held our first meeting on October 7, 2010, which was attended by around thirty people, though most of these might have been coming for the pizza. We revised bylaws and did the other basic paperwork, elected officers, and set up future meeting times. Since then, we have met about once a month formally, but members also became acquainted and interacted socially outside of formal meetings. Attendance fluctuated between thirty and half a dozen people, but no matter how many people attended, it was always a fun, lively gathering. Over the next year, we hope to establish an office area that could serve as the start of a Transportation library similar to those we had heard about from other student chapters, as well as offering a place to work on transportation-related research. In addition, we hope to bring in experts from the local community to talk about topics relevant to transportation and other aspects of working in engineering. To date, we have been unable to get someone to come in and speak so it is a high priority for this coming semester. If anyone is interested in speaking at a meeting, please myself, Grace Amundsen, atgaamundsen@alaska.edu, or our faculty adviser, Ming Lee, mlee91@alaska.edu.